Say goodbye to snow boots, and hello to your ankles and toes! 1. A ballet flat you don't even have to be a dancer to enjoy. Get them from Amazon for $10+ (available in sizes 5.5-11 and in 33 colors and patterns). 2. A platform espadrilles that'll soon be your go-to pick for your weekly brunch dates with your girlfriends. Carrie Brandshaw would be so proud. Get them from Amazon for $13.88+ (available in sizes 5.5-11 and in 16 colors and styles). 3. A pair of floral sneakers that'll get you SOOOO many compliments. I mean, this babies are worth not seeing the sun for the past couple months. Keds have become my go-to sneakers over the past year. They're so comfy and cute, and every collaboration they have is amazing. You'll rock these babies all spring (and summer long). Get them from Keds for $89.95 (available in sizes 5-11) or from Kate Spade for $90 (available in sizes 5-11). 4. A double-band slide sandal you ~clearly~ need in your life. Get them from Nordstrom for $98.95 (available in sizes 5-11 and in four colors) or Walmart for $98.95 (available in sizes 6, 7, 8-9, 10 and in snakeskin, white, and pink). 5. Or a pair of braided sandals more than 2,500 reviewers swear by for their water-resistance, comfort, and cuteness. Get them from Amazon for $29.95+ (available in whole sizes 5-11 and in 17 colors). 6. 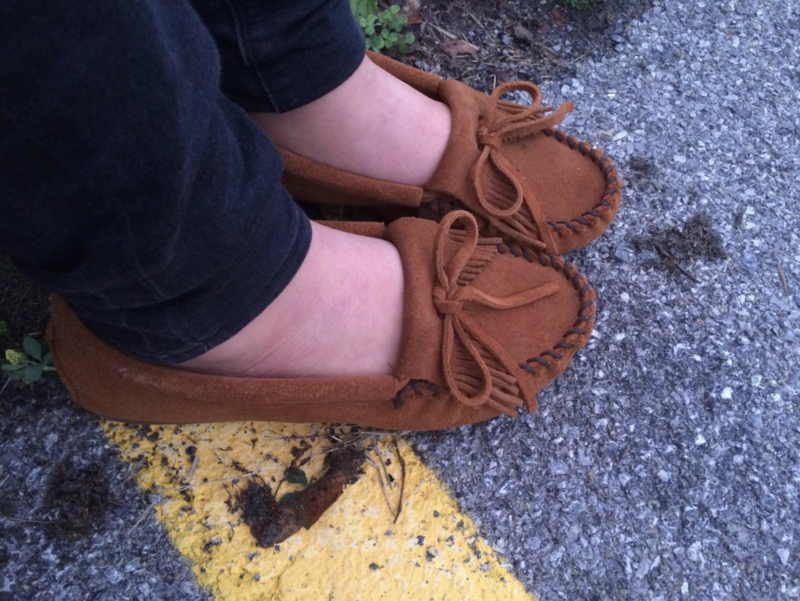 Some moccasins you can wear on the days when it's not super warm and sunny out, but you just can't bear to put boots on again. Plus, these feel like you're wearing slippers in public, so that's always a win in my book. Get them from Amazon for $21.30+ (available in sizes 5-11 and in 29 colors, with some colors also available in wide sizes). 7. Some mid-heeled mules – watch out because Sandra Bullock and Cate Blanchett might try to steal these gems right off your feet. 8. A velcro canvas sneaker because laces are sooooo last year. Why tie your shoes when you don't have to? Get them from TJ Maxx for $29.99 (available in sizes 5-12). 9. A vintage-inspired Mary Jane that'll pair perfectly with that dress you've been saving for nice weather. It's finally time to let it out so everyone can see it in its full glory! Get them from Amazon for $21+ (available in sizes 5.5-11 and in 18 colors). 10. A pair of breathable sports shoes you can wear all weekend long as you run every errand you put off during the week. That's what Saturday and Sunday are for, right? Promising review: "I have never been compelled to write a review, but these shoes are soooo beautiful!!! I got the pink and gold and they are comfy and pretty. I cannot keep count on the total strangers on the street stopping me and saying how much they love my shoes and asking me where I got them!!! This price is amazing, and I truly can say I got bang for my buck! True to size, I'm an 8 and ordered the 8 and they fit perfect." 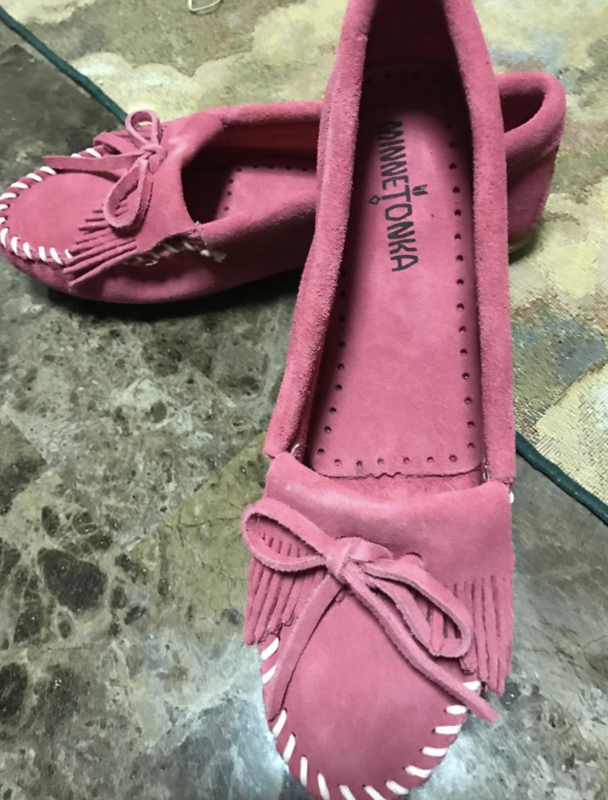 —Dora M.
Get them from Amazon for $16.19+ (available in sizes 5-11 and in 16 colors and styles). 11. A pair of lucite block heels that will honestly put a ~spring~ in your step when you wear them because they basically are the epitome of spring. Get them from ModCloth for $79 (available in sizes 5.5-10). 12. An open toe cut out bootie to show off the cute pedicure you DESPERATELY needed after months of your toes being covered. Get them from Amazon for $33+ (available in sizes 5.5-11 and in four colors). 13. Scalloped sandals with a heel small enough that you'll feel a little boost of confidence but won't have to worry about your feet hurting in a matter of hours. Get them from Amazon for $32+ (available in sizes 5.5-11 and in seven colors). 14. Or some rose-colored oxford flats to truly make a statement. You'll plan every outfit around these babies. Get them from Modcloth for $55 (available in sizes 5.5-11 and in six colors). 15. A peep-toe sandal with a small wedge to help ~cross~ having amazing style off your to-do list. Get them from Amazon for $17.69+ (available in sizes 6-11). 16. A lightweight slip-on sneaker with a breathable knit so you don't get stuck with sweaty feet (one of the worst feelings ever). Get them from Nordstrom for $119.95 (available in sizes 6.5-10 and in blue and black). 17. Some simple slides to wear with your favorite dress...or jeans and a tee...or shorts...or, let's be honest, basically everything you own. 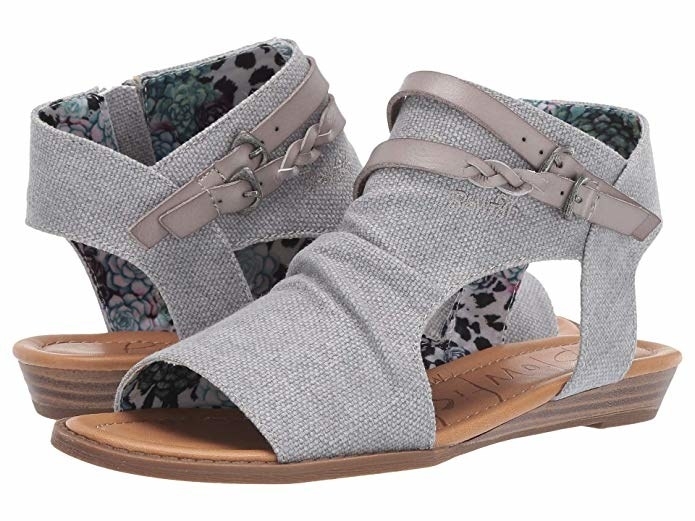 Get them from Amazon for $24.96+ (available in whole sizes 5-11 and in six colors) or from Roxy for $36 (available in sizes 5-11 and in seven colors). 18. A pair of rain boots you'll glitterally fall in love with the moment you see them. I mean, come on, have you seen cuter rain boots ever!?! Get them from ModCloth for $39 (available in sizes 6–10). 19. A cut out ankle boot you'll wear so much, people may be shocked when they see you without them. Get them from Amazon for $19.99+ (available in sizes 5.5-10.5 and in 10 colors and styles). 20. A espadrilles that'll ~wrap~ up any doubt you had when it comes to trying this trend. It's here, and your style will never be the same. Get them from Amazon for $74.95+ (available in sizes 5-11 and in 22 colors and styles). 21. Some yellow pumps to celebrate the fact that the sun is out again *and* the fact that it's out past 6 p.m. Thanks, sun, you're the true hero. Get them from Nordstrom for $159.95 (available in sizes 5-11 and in 19 colors and prints). 22. A cut-out ankle bootie if you just can't let your love for boots go. It's okay! I'm right there with you. These pretties are an updated style to show a little ankle. Get them from Amazon for $23.98+ (available in whole sizes 5-12 and in 11 colors and styles). 23. A floral loafer because even though wearing florals for spring is not technically groundbreaking (thank you, Miranda Priestly), it is still a necessity, especially when it comes to shoes. Get them from Amazon for $34.99+ (available in sizes 5-12 and in 10 colors and patterns) or Walmart for $55.96+ (available in sizes 5-12 and in 11 colors and patterns). 24. A pair of heeled sandals specifically designed for comfort so you'll be able to wear these to work and then out to happy hour with your friends. Yes, those friends you've been cancelling plans with for months because it's been too cold! Get them from Vionic for $139.95 (available in sizes 5-11 and in four colors). 25. 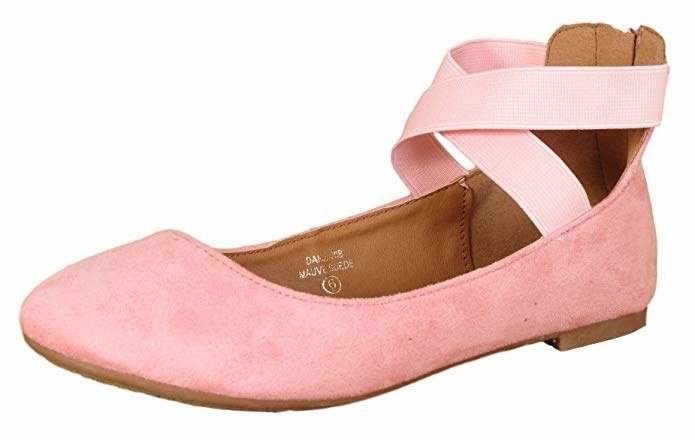 A cut out ballet flat with a sweet rose design to help your outfit truly ~bloom~. Get them from Amazon for $13.99+ (available in sizes 6-11 and in four colors). 26. Some applique slides that basically feel like flip flops but with more support and more fun. Get them from Hush Puppies for $79.95 (available in sizes 5.5-12 and in four colors). 27. A mule ~cut-out~ for your wardrobe. Pair these with jeans and a light sweater for a simple yet chic look. Get them from Amazon for $39.05+ (available in sizes 6-11 and in green, red, and black). 28. Some canvas slip-ons great for people with wide feet – you deserve pretty shoes, too! Get them from Amazon for $18.99+ (available in sizes 5.5-9.5 and in five colors). 29. A woven block heel shoe that I can't lie-lac about, I'll be dreaming about these beauties for a LONG time. Get them from Toms for $99.95 (available in sizes 5-12 and in cream and lilac). 30. A pair of gladiator sandals you don't even have to fight in an epic battle to wear. Get them from Amazon for $35.90+ (available in sizes 5-12 and in six colors). 31. A pair of woven platform sandals to give you some extra height but also comfort because your feet will still be flat. Get them from White Mountain for $49 (available in whole sizes 5-11 and in four colors). 32. Some platform oxfords you'll want to go back to school just to show off. Get them from Amazon for $19.99+ (available in sizes 5-9 and in four colors). 33. A heeled mule because these lil ~cuties~ are apealing and deserve some serious attention. Get them from Amazon for $18.99+ (available in sizes 6-10 and in eight colors and patterns). 34. A pair of vegan slides made with with recycled cork because your shoe choices can be environmentally friendly, too. Get them from Daybreaks for $39.95 (available in sizes 5.5-10 and in four colors). 35. A glitter loafer so pretty it practically deserves a party thrown in its honor. Promising review: "This shoe is a classic. You can dress it up or down. I've worn it all day at work and into the evening. I've also worn it shopping all day. The shoes are very comfortable. There's not a lot of arch support or cushioning, but I absolutely love the comfort and look of this shoe. I purchased several pairs in different colors." —RICARDO R.
Get them from Amazon for $23.28+ (available in sizes 4-12 and in narrow and wide and 23 colors and styles). 36. And a chunky dad sneaker to give you so much support, you may even feel the urge to clean the gutters and mow the lawn. Get them from ASOS for $79 (available in EU sizes 35-41).